We are proud to announce our US$1million investment in Acoustic Zoom, an advanced geophysics company specializing in innovative seismic solutions. Acoustic Zoom was awarded the top prize at #DisruptMining 2018, after placing as a semi-finalist in #DisruptMining 2017. As part of the investment, our own Sergio Espinosa, Director of Geophysics, will join Acoustic Zoom’s board of directors. A US$150,000 pilot program will also launch this summer at Goldcorp’s Red Lake Gold Mines, testing the technology in a real-world scenario. “We are excited to grow our partnership with Acoustic Zoom as we kick off the pilot program at Red Lake. We expect their story will continue as they collaborate with other players across the entire mining industry,” added Todd White, COO. Acoustic Zoom’s innovative technology aims to unlock the potential of Canada’s mineral exploration sector with high frequency 3D & 4D imaging to map complex geological formations deep within the earth’s micro-structure. Essentially, Acoustic Zoom has developed a way to “see” into the earth’s crust using sound, a method intended to help exploration teams drill smarter, guide planning and achieve investment value quicker with more actionable and accurate information. Over 100 international submissions were entered into #DisruptMining 2018, representing completely new ideas and disruptive technologies to tackle the challenges and leverage opportunities within the mining industry. For more information on the #DisruptMining initiative, please click here. 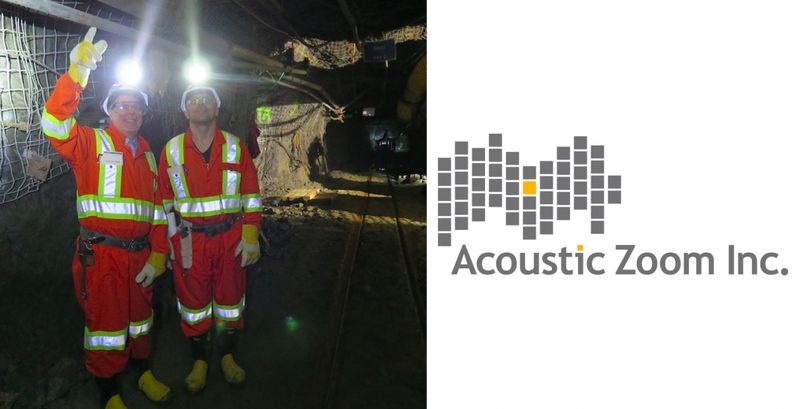 We would like to congratulate Acoustic Zoom on their win at #DisruptMining 2018, and we are looking forward to following the pilot project at Red Lake! Stay tuned!